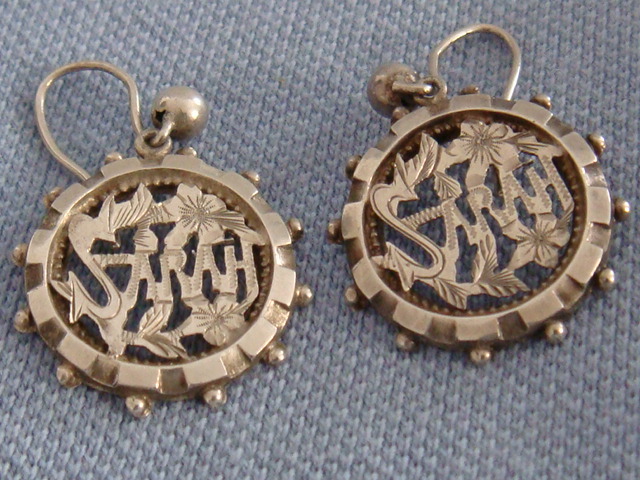 Sarah is the name on this pair of Victorian earrings. 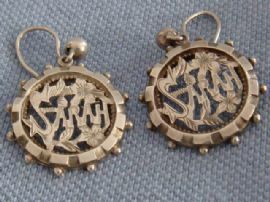 Made of unmarked Sterling Silver the earrings are perfect little examples of the fashion for wearing name brooches and pins that was strong in the late 19th and early 20th century. 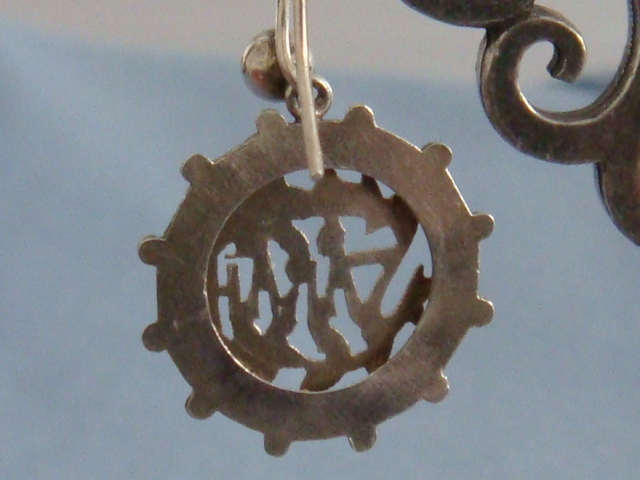 The earrings have a pierced design with a box and ball type border and are circular. 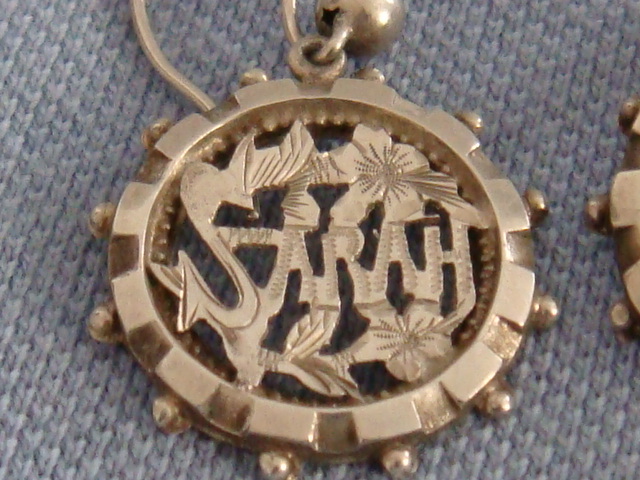 The name SARAH has been designed in a cut out manner and has been enhanced by the use of flowers and a fancy script. The earrings are each like a tiny Victorian name pin and are reminiscent of the round name brooches that date from circa 1880. I would imagine that these earrings are from around the same date, maybe dating up to the 1900s. 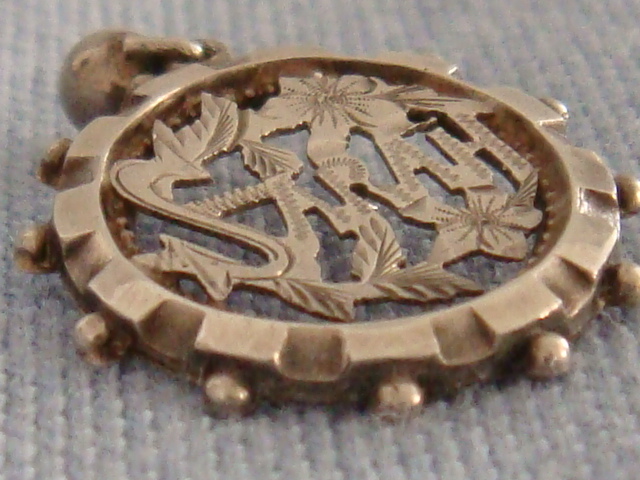 They would have been made in one of the jewellery establishments that produced stamped silver items, possibly coming from Birmingham in England's Jewellery Quarter. The earrings are in very good condition and the ear wires are also silver in a fish hook style with a little ball detail. 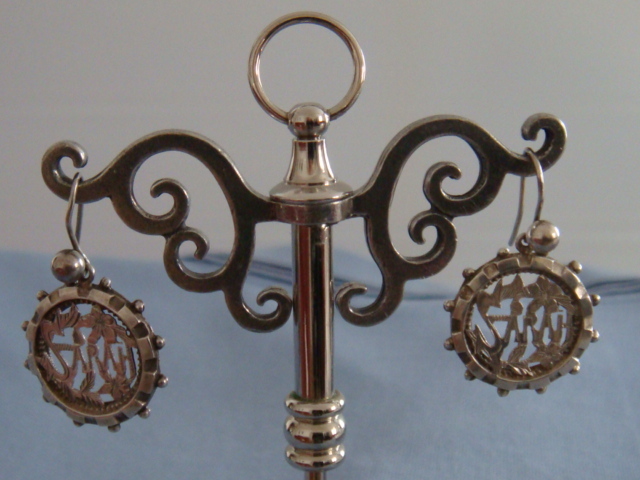 With a circumferance of a little over 1.5cms these Victorian earrings are easy to wear and very unusual.